Normally i write about animals, but i’m hooked on the colour blue. I spent 10 years at sea and was seduced by it’s nuance and shade: sliding between green and indigo, it’s sea-tones edged between the two. From the sheerest of blue aquatints to the bruising indigo of violent storm. I still seek out the sea on land. My picture reveals just a hint an inky-depth-Pacific blue, where the waves break ice-white and the opalescence curls back through the light. 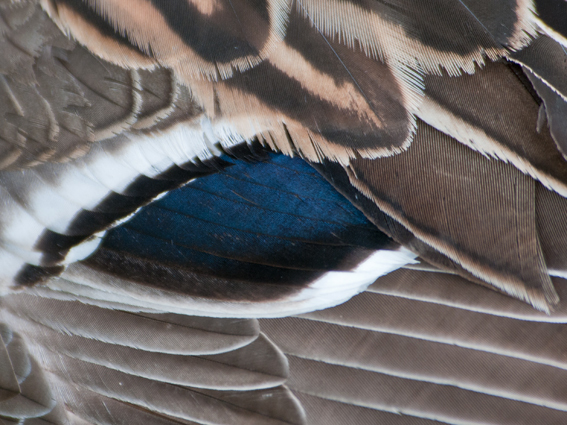 How stunningly beautiful the mallard forms feather-tight curling waves. Great shot! Looking forward to more blue! Thanks! It’s an inspiring colour. Thanks for the commendation…. and there’s your beautiful blue Australian Pacific too – what an ocean. A great tribute to the Blue and the beautiful mallard, Liz.